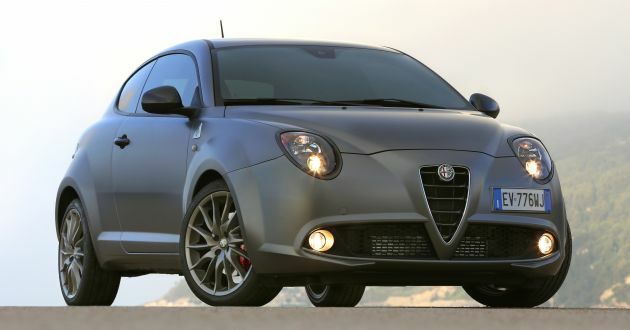 It’s official, the Alfa Romeo Mito will be discontinued in early 2019, said Europe boss Roberta Zerbi. An Autocar report states that the move was so that the Italian brand could shift its focus to making SUVs and sports cars. Earlier in June, Fiat Chrysler Automobiles (FCA) revealed a five-year roadmap for Alfa Romeo, a plan which includes the addition of two new SUVs, a range-topping 8C sports car as well as a modern-day GTV and a four-seat coupé. As you would’ve guessed, the Mito was nowhere to be seen in the plan, and now we know why. Zerbi has given Autocar the confirmation that sales for the Mito will be discontinued early next year. “Mito is a three-door and people are choosing more and more five-door cars,” she said, adding that previous buyers of the Mito would hopefully migrate into the Giulia or upcoming small SUV, which will sit below the Stelvio. Zerbi also confirmed that the new SUV won’t look quite like a smaller Stelvio, refraining from adopting the Russian-doll styling approach such as Audi and its SUVs, for example. Instead, she said the Alfa Romeo SUV range will “look like a family [of cars]”. No estimated timeframe has been given for the new SUV’s launch, but expect to see it within the next couple of years. An ardent believer that fun cars need not be fast and fast cars may not always be fun. Matt advocates the purity and simplicity of manually swapping cogs while coping in silence of its impending doom. Matt's not hot. Never hot. wise choice to leave the market segment to Fiat 500. Alfa Romeo shall concentrate on building more luxury performance sedans, crossovers, wagons, touring coupe, and supercars. This the Alfa with the two cylinder engine?